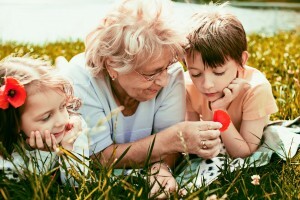 The subject of estate planning is much more encompassing than simply writing a Will. First, it requires an understanding of “probate” property (which a Will controls), to be distinguished from “non-probate” property. Non-probate property is property that is governed by some form of written agreement or contract as to its disposition at death. Common examples of this include 401(k), profit-sharing, IRAs and other forms of retirement benefits, as well as life insurance and annuities. All of these assets are controlled by a beneficiary designation, pursuant to the terms of an agreement. Other non-probate arrangements include “living” trusts and “survivorship” or “pay-on-death” accounts. In order to know the current disposition of a person’s assets, he or she needs to review all of these arrangements. The estate planning lawyer should comprehensively review the current planning and determine whether or not it is coordinated. Many times the beneficiary or account forms controlling the disposition of non-probate property were completed before a marriage (or before a divorce) or before the birth of a child, so that the directives are obsolete and need serious updating. It is therefore important to provide a complete balance sheet in order to undertake an estate planning exercise. A list of life insurance coverage is also necessary. Another aspect for married couples is to determine what assets are community property versus separate property. This is critical, since a person’s Will covers his or her separate [probate] property and one-half of the community [probate] property. In some cases, premarital or post-nuptial agreements are used as a part of estate planning, so as to clarify what each set of heirs may expect to inherit and to mitigate potential conflicts over property. Trusts are another important estate planning tool. In fact, trusts have been used for centuries to control property over a term of years or for lifetimes or generations. The idea of a trust is to provide specified benefits for one person for some time (or for his or her lifetime), and thereafter pass the remaining property to others. This is very useful in blended families, where for example the first spouse to die wishes to provide for the surviving spouse for life, but have the property ultimately end up in the hands of his or her own children. Trusts can also be useful for estate tax avoidance, and trusts are commonly used to protect a beneficiary from wasting the assets too soon. A less common application of trusts is what is referred to as a “beneficiary-controlled trust.” In this type of trust, an adult child could be given his or her inheritance as trustee of his or her own trust. This trust could extend for the child’s lifetime, protecting the inheritance from possible creditors or divorce of the child. The beneficiary-controlled trust has become a widening trend in estate planning in the last two decades. Indeed, trusts can be used creatively to express one’s legacy, viewing the role of the trustor as the steward of the inheritance. As important as any of the decisions made during the estate planning process is who to appoint in the various fiduciary roles in one’s Will. A trustee’s job is one marked by the highest duties in law, since that person is handling other people’s property. A trustee does not need to be an expert financier, but more than anything, trustworthy. The trustee job involves investing the trust corpus (or hiring a suitable investment manager), and properly distributing it per the terms of the instrument. An executor’s job is similar in some ways, but is more short-lived. The additional duties of the executor have to do with settling all debts of the decedent, in particular settling with the Internal Revenue Service. A guardian for a minor child could also be appointed by Will. Other fiduciary roles lie outside the Will itself. These are agents appointed under powers of attorney, both financial in nature and medical in nature. The importance of these instruments cannot be over-estimated, since the alternative is a long, expensive court-controlled guardianship proceeding. Related to these is the Directive to Physicians and Family or Surrogates, also known as the “living Will.” This is a document used to express one’s desire to die naturally and avoids uncertainty in end-of-life decisions. Farner & Perrin, L.L.P., seeks to customize yet simplify the process of estate planning. We pride ourselves in spending the necessary time with each client to understand that client’s goals, and we explain in understandable terms how to accomplish those goals. To start, you can reach our assistant, Anita, at (713) 622-0900 ext. 1, to schedule an initial appointment. We ask you to bring a completed checklist (available in printable versions here) to the first meeting, along with relevant documents, such as current trusts or Wills. Generally, by the conclusion of that meeting, we have given you specific recommendations to accomplish your estate planning goals and are able to provide a fee quote based on the anticipated planning. Remember, your estate planning is a part of your legacy, and Farner & Perrin, L.L.P., considers it a privilege to be a part of that.